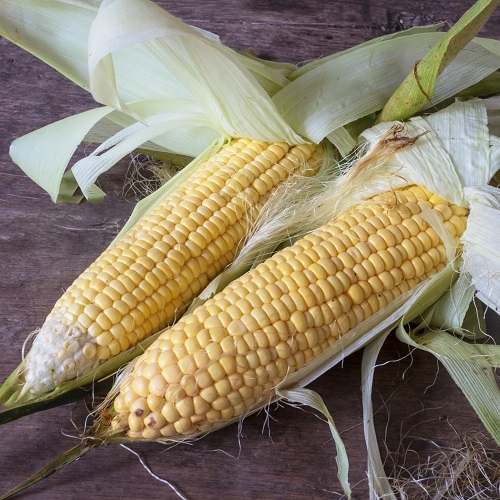 It’s hard to beat the taste of a freshly picked sweetcorn. 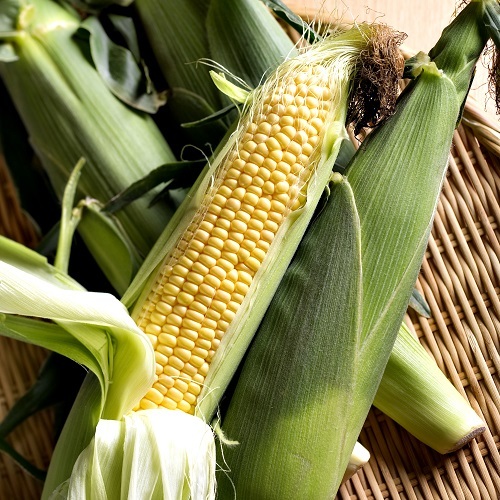 In fact the very thought of a home grown cob - boiled to perfection and drizzled in butter - is enough to make your mouth water. Of course, the only way to assure such a delight is to grow your own because freshness is the only guarantee of quality flavour. 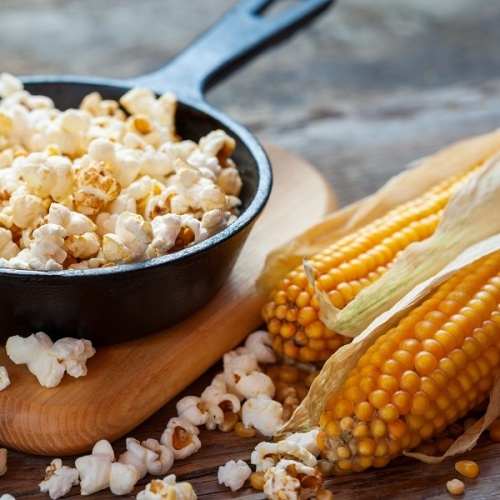 In fact some say that there should be no more than 10 minutes between picking and cooking! 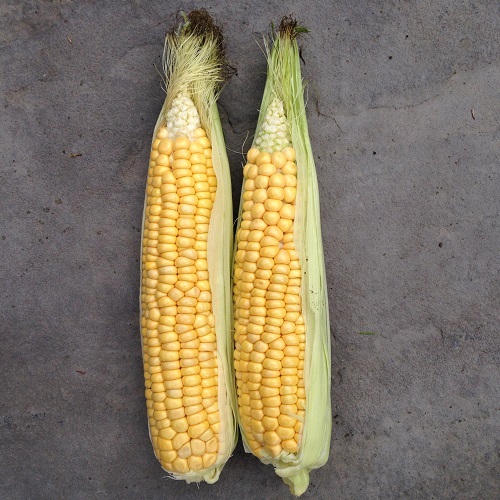 Luckily, growing sweetcorn from seeds is a straight forward affair requiring little technical knowledge. 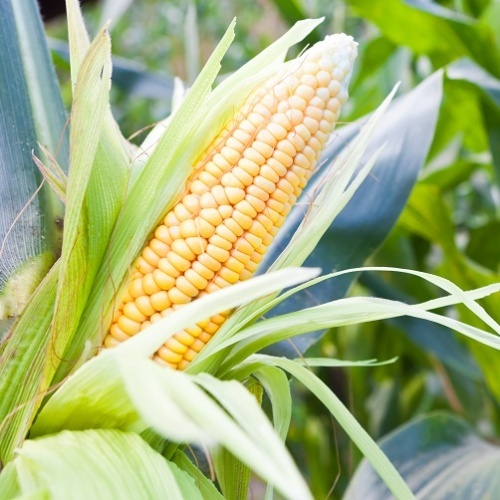 Probably the most important point is the time the seeds are sown, and this is all to do with temperatures. 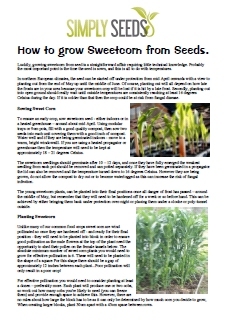 "How to grow Sweetcorn from Seeds" - pdf Guide. 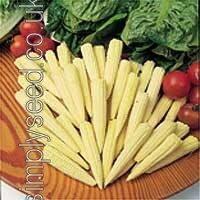 ......" ensure an early crop, sow sweetcorn seeds - either indoors or in a heated greenhouse – around about mid April. Using modular trays or 9cm pots, fill with a good quality compost, then sow two seeds into each unit covering them with a good inch of compost. Water well and if they are being germinated indoors - move to a warm, bright windowsill. If you are using a heated propagator or greenhouse then the temperature will need to be kept at approximately 18 – 21 degrees Celsius. Click on the image to download our pdf information sheet.